Free online jazz guitar lessons for beginners, intermediates and advanced. Join The Inside Track membership and get access to all Chris Standring's guitar instructional programs, all in one place. 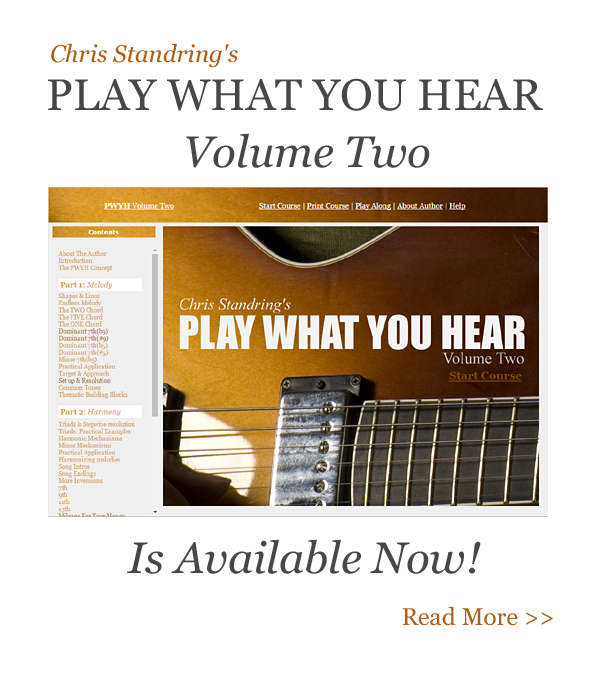 The Long Awaited Play What You Hear Volume Two Is Now Here! It has been many years since the first edition of Play What You Hear (originally released in 2000). Now volume two is here with new ideas and concepts, complete with audio, video, traditional notation and TAB throughout. High resolution pdf available for printing the entire program. For intermediate and advanced players. 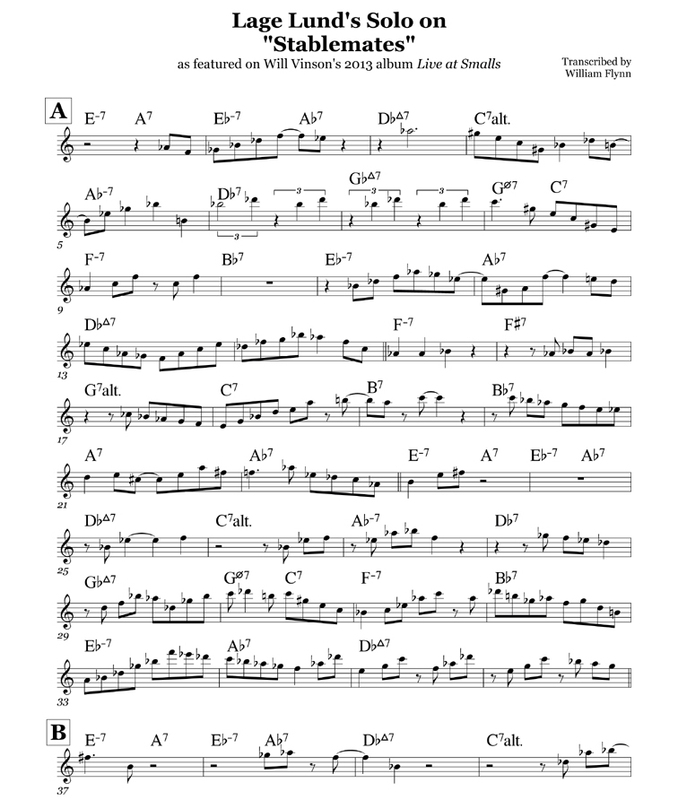 Focuses on single note soloing. 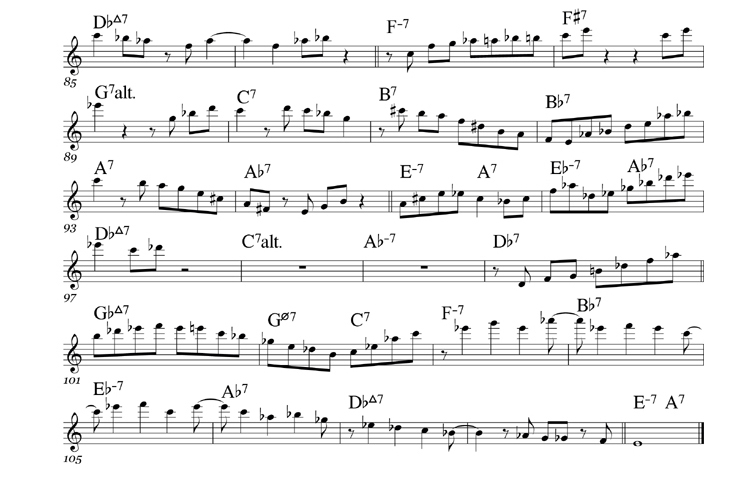 Learn how to effortlessly solo through complex chord changes. Focuses on chord melody. Learn new harmonic devices and understand chords in a whole new way. 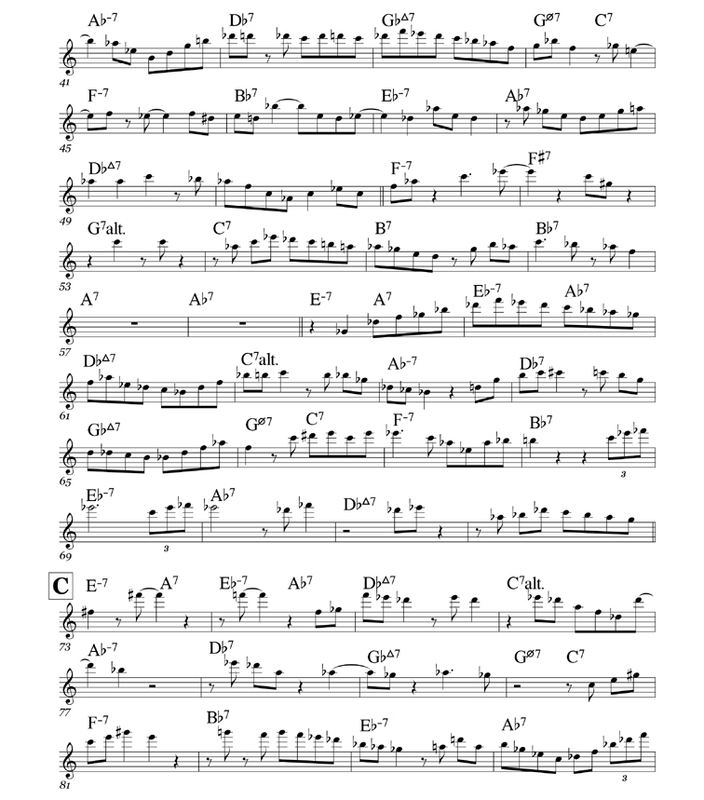 Study Chris Standring's six recorded solos, transcribed with audio and high def video. Discover the secrets to becoming a great jazz guitarist! Download my free e-book right here! (A download link will be sent to your email inbox when you subscribe). Copyright © PlayJazzGuitar.com - All Rights Reserved.